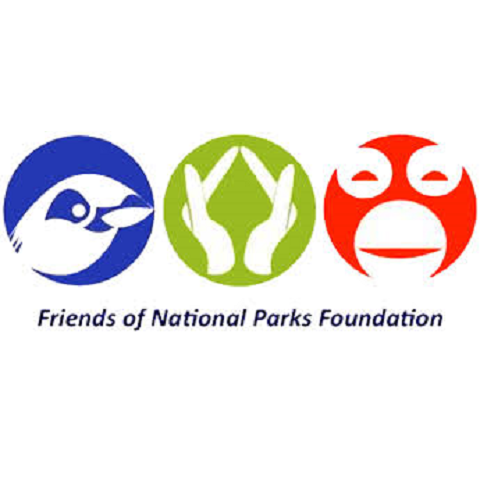 The Friends of National Parks Foundation (FNPF) is an Indonesian non-profit organisation working to protect wildlife, restore habitat, and improve the well-being of local communities. Friends of National Park Foundation (FNPF) was founded in 1997 to protect Indonesia’s endangered wildlife, restore forests and help local communities. To do so, FNPF runs very effective rehabilitation programs which ensure that rescued and cage-bred animals can survive in the wild after release. This includes securing environments for wildlife by restoring/rebuilding habitat, and persuading local communities to protect them. The FNPF’s bird rehab & release project on Nusa Penida (Bali) is internationally recognised for effectively saving the critically endangered Bali Starling (Leucopsar rothschildi) from extinction in the wild, and bringing back other endangered birds to Bali. The Bali Starling is probably the most beautiful of the mynah family. Its beauty however, has made it a target for poaching. Following decades of global trafficking, the species has become one of the rarest birds in the world and may be facing extinction. The Bali Bird Sanctuary covers the Nusa Penida Islands group and is home to over a 100 Bali Starlings. The sanctuary has allowed the wild population to grow from fewer than 10 surviving birds when the FNPF bird conservation project first began in 2006. FNPF, in cooperation with the Nusa Penida Islands villages, encourages the local community to apply traditional laws which protect the Bali Starling and other native birds within the sanctuary from poachers and wildlife traders. The sanctuaries also serve as an eco-cultural tourism site, attracting both tourists and conservationists alike, thereby benefitting local communities. FNPF is now working with regional government Klungkung Regency to declare the Bali Bird Sanctuary an officially protected zone under judicial law. Under the Bali Starling Conservation Program, Bird Keeping specialists are breeding the Bali Starling for wild release while also rehabilitating and releasing other ex-captive endemic bird species. Bali Starlings are traditionally released to the wild at temple ceremonies. In preparation for a bird release ceremony, the FNPF Bird Keeper travels to each temple around the island collecting holy water which is used to bless each Bali starling and spiritually binds the community to the birds. This ensures obligatory social and moral protection under traditional law. On release day, a priest conducts ceremonial prayer and blessings before the birds fly to freedom at local temples. FNPF also places nest boxes high in temple trees to ensure the birds are provided added security in the temple grounds. Bali Bird Sanctuary and other FNPF Nusa Penida activities are run in partnership with the local community, Indonesia’s Ministry of Forestry and local NGOs. Banjar Intaran, Desa Pejeng, Kecamatan Tampak Siring, Kabupaten Gianyar, Bali, Indonesia 80552.